It is estimated that approximately 800,000 people below the State Pension Age are in receipt of pension income and may be paying tax even though their total income is below the personal allowance. This is according to recent information published by pension provider, to Royal London. If you think that you may be affected, you need to check your tax code to ensure that you are not paying tax and to apply for a refund if you have been over-taxed. This could be an issue for those who have several sources of taxable income such as a salary and a pension or several pensions. In some cases, the over-taxation could have been going years. Around 30 million people in the UK who pay income tax, but only around 10 million of these fill in a Self-Assessment tax return each year. The remaining 20 million pay their tax through the pay-as-you-earn system. Each person should have their own tax code, which is supposed to collect the correct amount of tax is paid over the course of the year. So, if tax code is incorrect, the wrong amount of tax will be collected. Where errors have been made, these can sometimes go undetected for years, and individuals may be able to claim refunds for more than one year. The tax code system can be confusing, so it is not surprising that errors can go unnoticed. Who else could be paying too much tax? Higher and additional rate tax payers, who are making pension contributions may also be paying too much tax. Why? Pension tax relief is automatically given for basic rate tax only and higher and additional rate tax payers must claim this themselves. HMRC does not automatically give you the additional relief. If you or your accountant are completing a Self-Assessment tax return, your tax code or the amount of tax you pay, should be adjusted to claim the relief. If your accountant does this for you, you may want to check that your pension contributions are being accounted for. What if I am a higher rate tax payer, but do not complete a Self-Assessment tax return? In this case, you will need to write to your tax office and tell them you wish to claim higher and/or additional rate relief. They will then adjust your tax code, so that the correct amount of tax is deducted from your monthly salary. 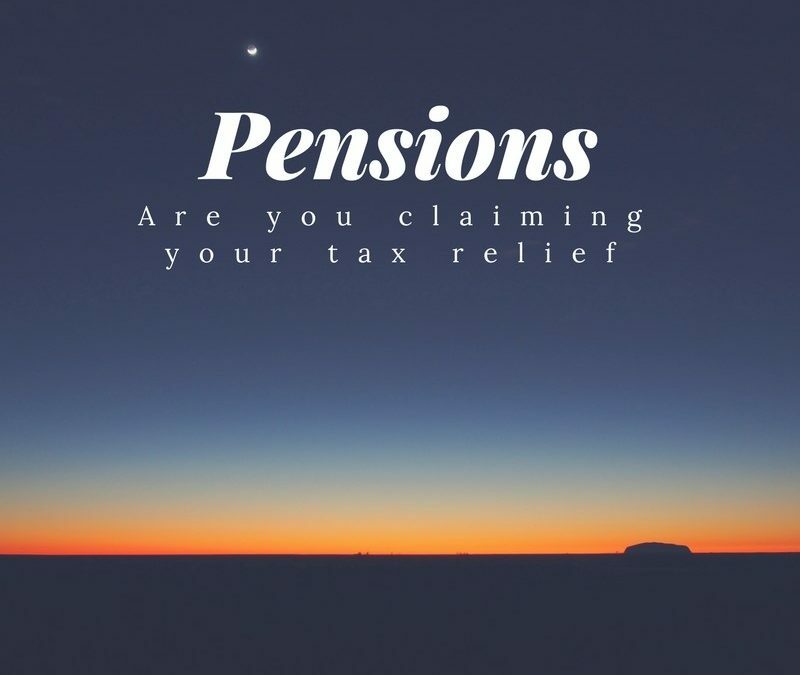 Once again you may be able to reclaim the overpaid tax, however you will have to provide them with evidence of the pension contribution that you have made over the years. If you would like to talk to a financial expert about pensions or investments, please get in touch for a no-obligation meeting. Go to our website www.miadvice.co.uk and contact us via our “Get in touch” form on our home page or Contact Martin Dodd on 01902 742221.